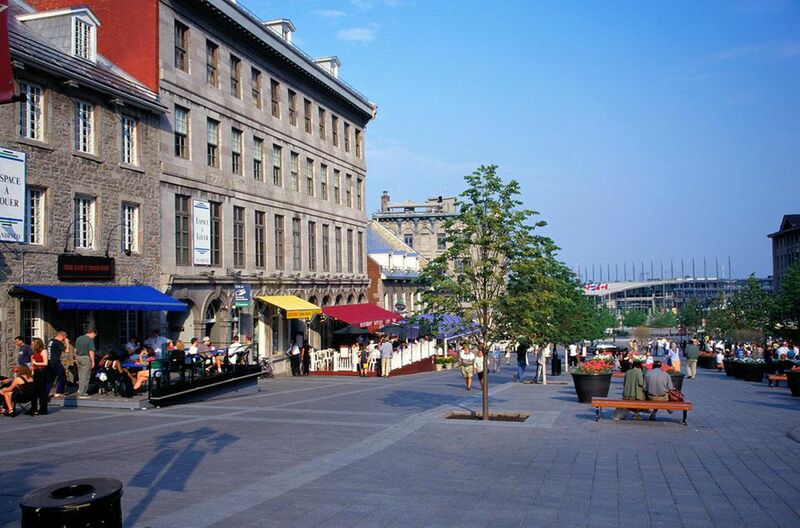 As the snow finally thaws and warmer weather starts to arrive in Canada each April, Montreal welcomes an influx of visitors hoping to enjoy the many spring events, outdoor activities, and delicious maple treats the city has to offer. April sees an increase in the number of visitors arriving in after what is generally a long, snowy and bitterly cold winter, but don't be fooled into thinking it's spring just yet! Old Montreal especially is best explored by foot, however, if you'd like to do so without snow on the ground you may be better off waiting for May reservations. Although springtime means the full throng of summer visitors has not arrived, it also means many of the most popular Montreal events that take place each summer have yet to start. Montreal has a short, mild spring that's similar to spring in Toronto. The warmer weather means you'll have easier access to the area's attractions and events, but the weather can also be quite unpredictable. Visitors can expect about 11 days with at least some rainfall. Don't trust April in Montreal to have typical spring conditions, though. Snow is not unheard of, and temperatures can certainly dip below freezing, so prepare for colder conditions than you might think. April is a fickle month that likes to torment with warm temperatures followed by a blast of cold and snow. The result is a hodgepodge of indeterminate weather that is best described as "wet." As a result, you'll want to bring warm, water-resistant outerwear, an umbrella, closed-toe shoes and, and a range of clothing including T-shirts, sweaters, light pants, heavy slacks, and a warm coat. Packing layered outfits is a good idea as days can be quite warm while nights are still relatively chilly. If the April Montreal weather has enticed you to explore this Canadian city, you'll want to make the most of your trip by planning what you'd like to see during your vacation. While the calendar isn't as full as during the summer months, spring in Montreal still means plenty of exciting events for travelers. Pan-Africa International African and Caribbean Film Festival: This annual event showcases exclusive film screenings, meetings, and roundtables with directors, producers, and other film talents. Blue Metropolis Montreal International Literary Festival: This long-running festival attracts some of the world's top literary talents. It's also called the "Blue Met." Black & Blue Festival: Montreal's celebration of gay, bisexual, and transgender culture showcases the city's diversity. It's the world's largest gay-benefit dance festival and draws thousands of tourists to Montreal each year. The Big Fashion Sale: This Montreal shopping tradition, also known as Braderie de Mode Québécoise, offers a chance to purchase samples and liquidated inventory of some of Quebec's biggest fashion designers for discount prices, and the ​Montreal Classical Guitar Festival invites guests to celebrate the musical tradition of guitar in Canada. Easter: While the annual holiday can vary, it often falls on the first weekend in April. Montreal is home to plenty of egg hunts, parties, and parades, but attending mass at one of the city's historic churches is a great way to spend the day. St. Joseph's Oratory, Notre-Dame Basilica, or Mary Queen of the World are among the cathedrals that all hold Easter mass. Montreal Salon des Pierres: The city's best jewelers are in the spotlight for this annual event, which takes place in mid-April. The event celebrates gems, fossils, and high-end jewelry, with more than 200 different vendors. Although the ski season may be finished, ski resorts like Mont-Tremblant offer great off-peak deals. You'll find all sorts of other deals and discounts on airfare, accommodations, and even meals and attractions during this slower tourist season. You'll certainly not want to miss trying out a maple-inspired menu at one of the city's many restaurants celebrating sugar shack season (also called cabanes à sucres). The season usually kicks off in March and runs through April. Don't stress too much about less-than-ideal weather in April: Most of the city's major hotels are connected to the major underground city, which will minimize your time spent outdoors.